I am jumping with glee!! 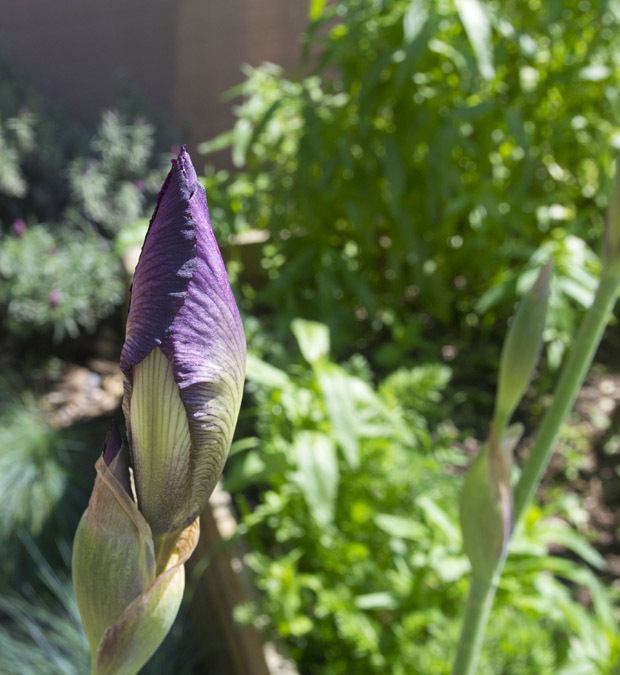 It is so amazing to see my Irises going from buds to blooms. I was like a child waiting for Christmas to arrive!! And it was so worth it! They are magnificent. 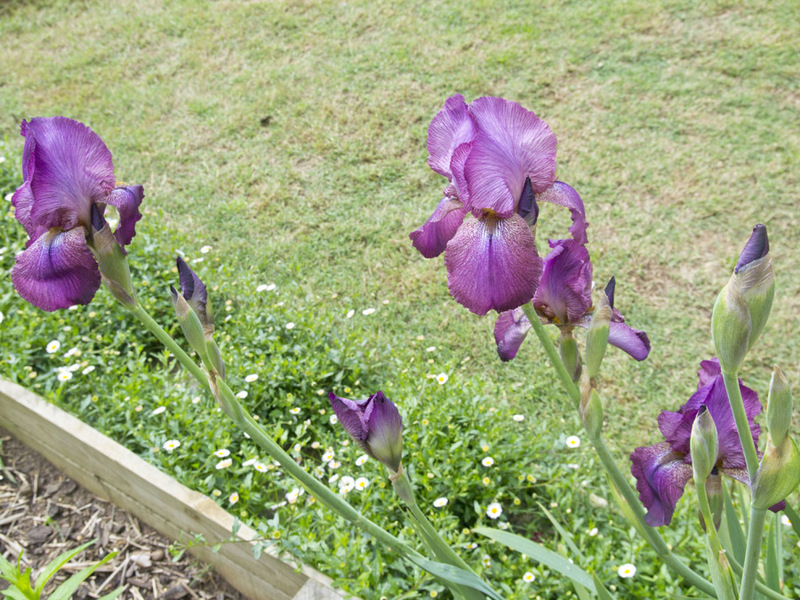 I was never a real flower garden person, but to have these extraordinary flowers all over my organic vegetable garden has been a great delight!! I will say no more! Just look at the photos! They will show you the anticipation I felt! They stand so tall, almost shoulder height. Is this normal? They are the Springtime Winners for me! Even my hubby is taken with them. Yup – he has taken his camera out….. yes, the Iris will be photographed again …. 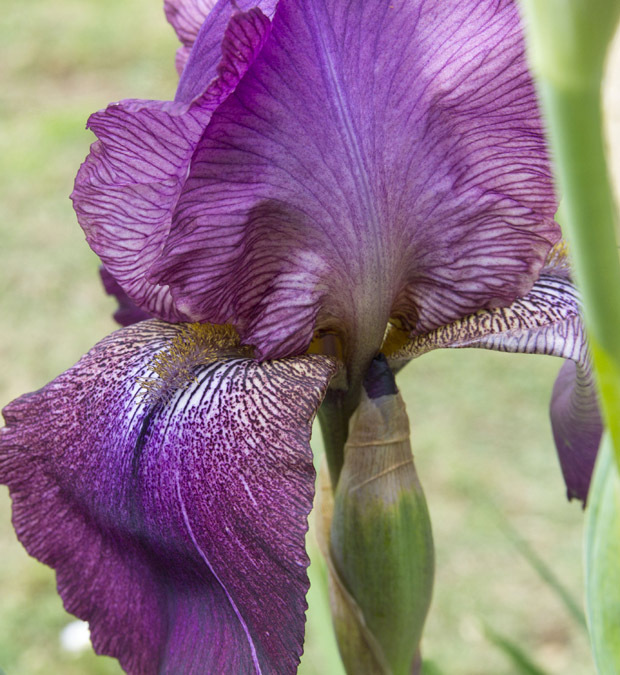 and again…..
Barbie I adore irises and look forward to their blooming in spring…so it is a delight to see yours now as I was hoping mine might rebloom but alas we were too dry. I’m speechless … Outstanding! I’m so thrilled they look so wonderful. 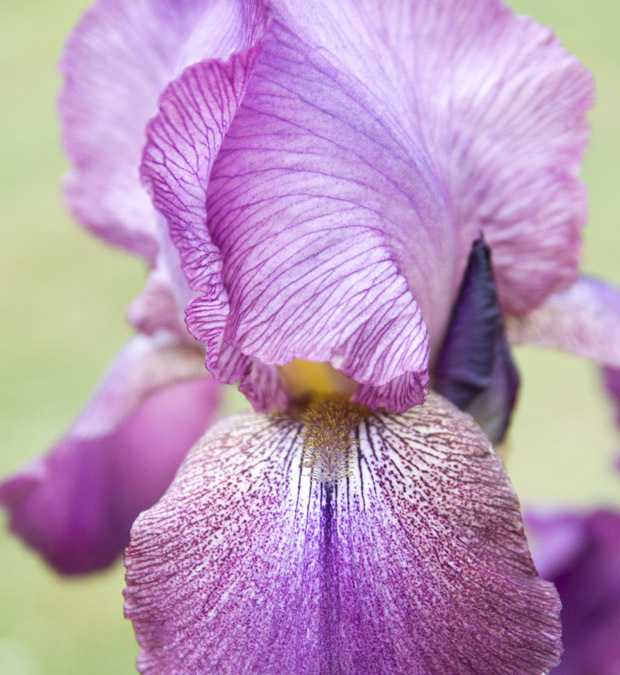 Its all the love and care you put into your garden that rewards you with such beauty! Thanks my friend – it must be. I really can see where I spend my time. 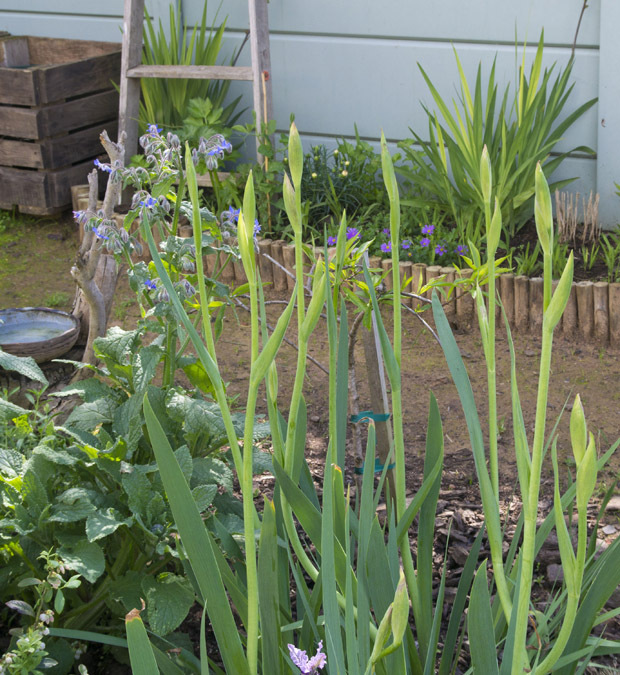 The plants all look so good! . It just shows that the gardener is appreciated! That purple is gorgeous. 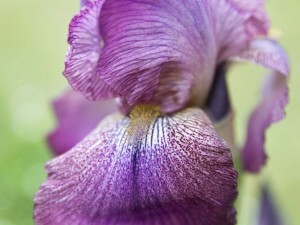 And I love how the color ties into the lavender? and asters? you have planted too. 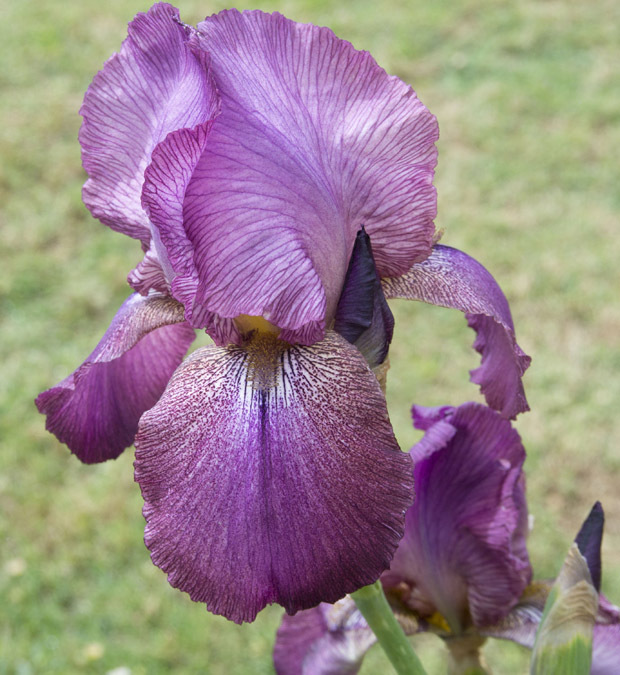 And yes, irises are mesmerizing when they are blooming. Enjoy! 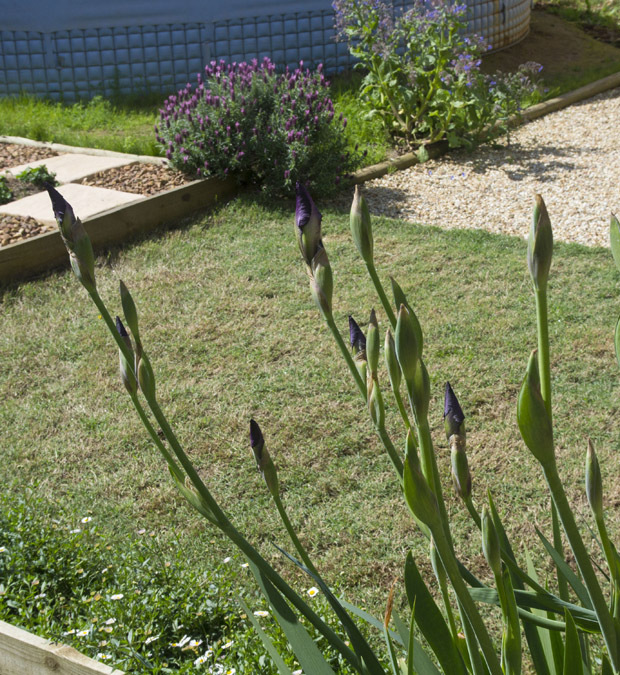 Yes – it was not intended, but it looks like I have a totally blue/purple patch in the back garden. Yes, it is lavender but the other bush is borage. For real. Will have to take a photo of me standing next to it! Thanks Christina. 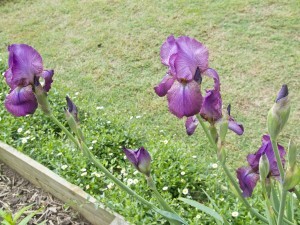 I have groups of Irises all over my garden. There are also yellow and white, but I don’t know where they are! Will have to wait and see.